The author of Make Ahead Bread educates the reader about yeast. The organism is very sturdy, it turns out, and altering the temperature in which you store your dough can give you more leeway in when you have to cook it. The author explains how you can work the bread-making steps around your schedule, rather than be a slave to the dough. The subtitle of this book is 100 Recipes for Melt-in-Your-Mouth Fresh Bread Every Day. The recipes are wonderful, actually, and cover all the sorts of bread one could ever dream of making--and savoring straight from the oven! The book is roughly 200 pages of education, recipes, illustrations and encouragement. This book takes the process of bread making and fits it into a busy schedule by dividing the process into two or more parts. The trick to breaking up the bread-making steps is to control the second rising. 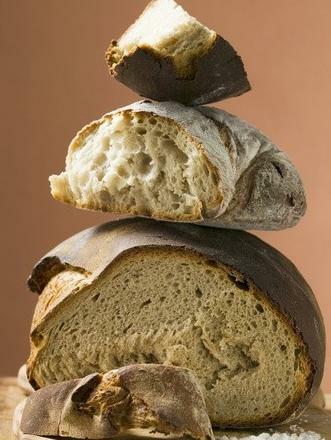 The long, slow rise also improves the flavor and texture of the bread, compared to breads left at room temperature for the final rise before baking. The text includes instructions for making a sourdough starter. I should warn the reader, however, from my own experience, that bread making is unpredictable because one works with a live organism: yeast. Hard and fast rules don't apply, which the author admits. The author's experience with yeast is valuable, and she shares it readily. 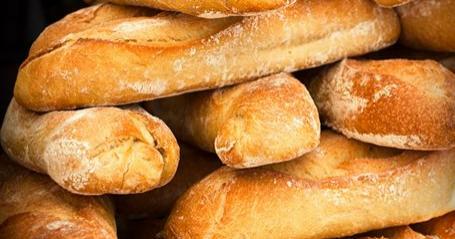 All the standard breads are here, plus Pita, Tortillas, Focaccia, Naan, and Pizza dough. The author also instructs us on techniques for various classics like: dinner roles, knots, and English muffins, crescents, sticky buns, and swirls. There are some recipes with unusual ingredients, such as Nutella hazelnut-chocolate spread for Nutella Swirl Rolls. Many of the recipes instruct one to roll out the refrigerated dough and immediately cook it, without another rising. From experience, I know that this will leave the bread less risen than if you let it rise again. Unusually for a book about bread, this recipe book includes pastries, which fall under a different culinary art, but your get recipes for standards like Danish, Croissants and Turnovers. A frugal cook, the author provides some recipes, both savory and sweet, that use leftover bread. The toppings section includes making your own butter and nut butters! But for me the best tip is instant pectin, which I can't find in the store, but when I do find it, I will buy out the entire stock! The author encourages readers to squeeze in the time to make bread from scratch by fitting the tasks around one's daily schedule. 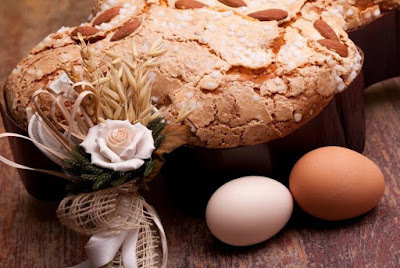 While one could make all their own bread, every day, like the author, I think these recipes and techniques are actually the sort of thing that can help cooks make something special for parties and holidays, without keeping them to the kitchen all day long. Loaf Breads – Bacon, Tomato and Cheddar Loaf; Maple Sugar and Walnut Loaf Buns, Rolls, Breadsticks – Slider Buns; Cheesy Breadstick Twists Flatbreads – Chicago-style Pan Pizza; Semolina Focaccia Pastries – Breakfast Sausage Danish; Traditional Croissants, and more. 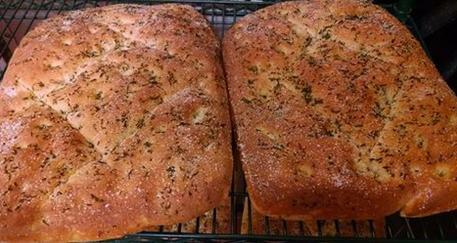 Now, you're never too busy to bake bread! Yeast bread isn't complicated to make, but because it needs time to rise, it’s not always easy to fit it into time available - that’s until now. Make Ahead Bread gives inexperienced bakers and busy home cooks the information you need to make flavorful, freshly baked bread on a schedule that works for you. Leftovers? Just in case you have any leftovers, this book also features many recipes for your extra bread like Almond Butter Bread Pudding; Artichoke, Olive and Tomato Strata; and Overnight French Toast. Plus recipes for scrumptious butters and spreads are included, such as: Chunky Apple and Cinnamon Spread and Chocolate Butter to name a few. 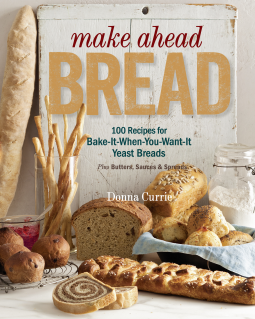 Make Ahead Bread is published by The Taunton Press. The Taunton Press evolved out of one man’s love for woodworking and his frustration with the lack of quality information on the craft. To remedy that, he created Fine Woodworking magazine. Since that day in 1975, the company has developed into a 21st century media company providing high-value special-interest information to enthusiasts through a series of successful magazines, books, and digital products. Connect with the author: Twitter, Facebook, Pinterest, Website.